Cats scratch things. It is instinctual. You can either have a cat that scratches or you should probably not have a cat. But proper cat nail care will both decrease the damage caused by scratching and minimize the amount your cat scratches. To properly care for your cat’s nails you’re going to need clippers. There are several different kinds and a laundry list of manufacturers out there. This article will show you the best cat nail clippers available and why to use one versus another. How Do I Clip My Cat’s Nails? What Types of Clippers Are There? How Often Should I Clip Them? How Do I Get My Cat Used to Clipping? Should I Clip My Kitten’s Nails? Pet Republique has been in the pet grooming space for a good long time. This set of cat nail clippers is one of their flagship products and there’s a reason for that…they work great and they are dirt cheap. They’ve amassed well over 1000 Amazon reviews with an average of 4.5 stars. They are made of high quality stainless steel blades that are both strong and sharp (and will stay that way for years). Because the blades are high quality you’ll get a clean cut that won’t splinter your cat’s nails. The handles are designed to be nonslip to ensure you don’t lose your grip even if your pet squirms while you are clipping. These also carry a 30 Days money back guarantee and a 2 year warranty! Resco invented the guillotine style nail trimmer in 1937 and has proudly manufactured them in the USA ever since. When a product has been around for over 80 years and it is still going strong you know that it gets the job done. They key feature with guillotine style clippers is that they aren’t throw away like scissor style. Replacement blades are easily purchased and inserted in minutes. The blades are also micro-honed to ensure they are sharp as can be and don’t crush the nail. They feature a loop to place the nail before cutting which ensures an extremely clean cut. Resco products do feature a lifetime warranty so if you’re unhappy or it breaks you can replace it free. You can easily replace the blade when it gets dull without having to buy all new clippers. With over 5,000 Amazon reviews and an average rating of 4.6 stars on Amazon you know you’re getting an awesome and well respected product by Safari. These guys are also responsible for a laundry list of other cat grooming products from de-shedding tools to hair clippers and so on. It has a built in safety stop which can help ensure you don’t cut too much or too far. The reverse is spring-loaded so once you release the sturdy locking mechanism the blades come open and ready for use. The handles are nice and grippy so it won’t slip resulting in a botched nail clipping. They are stainless steel so they’ll never rust and won’t require sharpening for a long time. One last note, be sure you order the small version, large is way too big for a cat. The OmegaPet cat nail clippers are another solid pair of clippers that offer a quick and painless trimming experience for you and your cat. They are also very lightweight, but sturdy enough to stand up to plenty of trimming sessions. The blades are made of precision engineered stainless steel for clean cuts every time. They require minimal pressure for a great cut because the blades are extremely sharp. It has a built in safety lock to keep the blades together and away from children. Shiny Pet brings to the table another excellent set of cat nail clippers. These clippers are professional grade and come it at a very low price to ensure you can provide a nice smooth trimming experience for your cat. These clippers are fitted with razor sharp blades made out of stainless steel. They also feature an ergonomic handle made out of 100% recycled plastic to minimize waste. The grips are finished with a slip-proof coating that ensures a secure grip to prevent painful accidents. If you’ve never clipped your cat’s nails they also include a useful ebook (you can read my post how to clip your cat’s nails here). Trim Pet brings a combination clipper and file to the market in this package. 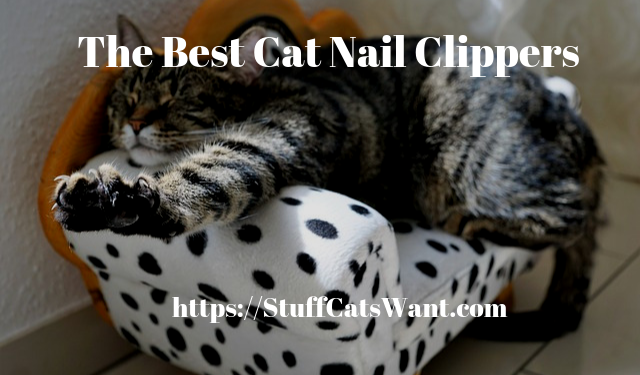 While you’ll rarely find yourself using a nail file on a cat this may be a good option for you if you have multiple pets. Trim Pets indicates these clippers easily accommodate cats, dogs and rabbits too. These clippers were designed for veterinarians that work with multiple animal types each day and don’t want individualized clippers. They include razor sharp tempered stainless steel blades with a safety guard to minimize cutting too much. Handles are ergonomically designed to ensure comfort for you while you trim. There’s a strong spring built into the clippers to put them right back in ready mode after each clip. The spring features a pinch guard to ensure your fingers don’t get stuck in it. JW Pet company brings another guillotine style set of cat nail clippers to the market. The key difference between these and the Resco model is the construction material. JW Pets has focused on a super grippy set of handles to ensure nothing slips. The only drawback to this design is the clippers don’t allow blade replacements like the Resco model. It makes trimming your cats nails safe and stress free with the loop for the cat’s nail to hold it steady. It provides solid clean cuts, but it does not allow for blade replacement and all blades dull with time. Epica has become one of the most well respected names in cat grooming because of excellent set of clippers they’ve put on the market. 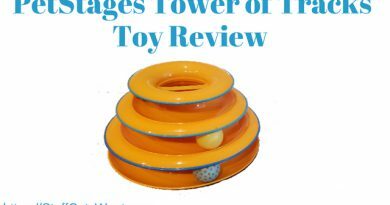 They’ve racked up nearly 4000 reviews on Amazon with an average rating of over 4.8 stars. That’s quite the feat given the high expectations of most pet owners for their money! It’s easy to make a precise and safe cut with the semi-circular blades that the Epica model uses. You can see exactly where you’re cutting so there’s no guessing and missing. Epica uses high-grade stainless blades that maintain a sharp edge and won’t dull easily, this makes clipping nails effortless. The handles are coated in extra grippy rubber to minimize slippage and botched clippings. Your clippers are always in safety mode when you aren’t using them because there’s a super simple safety latch. Epica also includes a 100% lifetime warrant. If you’re unhappy you can get your money back! Be sure to order the small/medium size from the available options. The large size is far too big for a cat! Whisker Wishes has an excellent set of cat nail clippers here. They come in at a great mid range price for clippers and these are specifically designed for cats. You can usually note the specific design for cats based on the two loops for your fingers to fit in. Cat nails don’t tend to require as much pressure as dog nails where you’ll see clippers that look more like hedge clippers or pruning shears. That’s not to say those won’t work just fine, they are just designed for multi-pet use. High quality stainless steel blades make for clean cuts every time and no chance of rust. The grip is designed to hold firmly even if your cat moves around, this ensures you get a stable cut and avoid any bad experiences. Handles are designed to accommodate both right and left handed individuals. They come in at a great mid range price and do an awesome job. If you’re not into manual effort and you’d rather try an electric option then the Dremel might be just for you. This is a grinder, not a clipper. 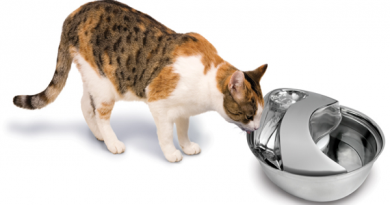 So basically it rotates really quickly and slowly grinds away your cat’s nails. You’ll also definitely need to keep in mind that this is much louder than any form of manual clippers. If your cat doesn’t like loud noises this isn’t going to go over well unless you spend adequate time acclimating your cat first. It has two different rotary speeds so you exercise far more control over the grinding process. It is recommended to use the slow speed to minimize noise and provide more control. It is battery operated so there are no pesky cords for your kitty to chew on, battery and battery charger included. Dremel made this tool out of super sturdy high density plastic so it’ll last through falls and drops. There are a wide variety of sanding bands you can consider for different speeds of grinding the nails away. Recommendation is 240 grit. I have written a comprehensive post on this topic right here. Be sure to check it out if you have any general how to questions. You can also check out the below video which is an excellent resource with a veterinarian teaching you how to clip cat’s nails. Guillotine clippers: Similar to the actual guillotine these use an entry slot for the nail and when you squeeze the handles together it shoves a single sharp blade forward to cut the nail. They provide a really clean cut, especially when the blade is sharp. You can easily buy replacement blends and drop them in yourself. Scissor clippers: They look just like scissors, pretty straight forward. You can get them in various sizes. You’ll want to use smaller clippers for smaller/younger cats and larger ones for bigger or older cats that get trimmed less often. The clippers used in step 3 are scissor style clippers. Pros: It is far easier to get a nail into scissor clippers than guillotine clippers, they are far easier to maneuver. If you don’t squeeze very firmly and quickly there’s more likelihood you won’t get a clean cut. Getting them sharpened is difficult. You usually have to simply buy a new set of clippers when they get dull. General multi-pet clippers: Multi pet clippers will easily handle clipping your cat’s nails, but they are specifically designed for cats. They’ll look similar to pruning shears. They tend to be a little more heavy duty as they are designed to also accommodate dog nails. Pros: A single model will work for multiple pets (dogs/cats/birds/etc.). Cons: They can be a little large and bulky for cat nails. I personally use scissor clippers for both of my cats. I normally trim my cat’s nails while someone else holds the cats which makes it easier no matter what type of clippers you decide on. How Often Should I Clip My Cat’s Nails? My experience is that if your cats are pretty religious about scratching to sharpen their nails up then you’ll probably need to trim them about every two weeks or so. If you wait much longer than two weeks you’ll start to see your cats nails turn into talon like razor blades. When your cats are younger, especially kitten aged, I would highly recommend trimming them even more often. Once a week followed up by treats is a great way to help build a positive experience around trimming quickly. You might even want to consider only trimming one paw at a time over a few days while they are young and rewarding them with treats each time. The positive reinforcement works wonders with cats. The frequency section above touches lightly on this, but the more often you trim your cat’s nails the more likely they are to get used to it. I highly recommend starting young if you adopt a kitten. Trim often and reward your kitten often. If you’ve already got an adult that dislikes or at least doesn’t tolerate trimming well you can explore a few options. First and foremost you’ll want to get your cat familiar with the clippers so they aren’t simply afraid when they see them. To do this be sure to leave the clippers in a place that your cat frequents. In her bed or on a place she sleeps often is ideal. This means the clippers will not only acquire her scent, but she’ll be familiar with their sight and associate them with something she likes (sleeping). This step may sound silly, but it does work! Next you’ll want to develop familiarity with the sound of clipping. Your cat often can’t actually see what you’re doing while you’re clipping and sometimes new sounds can frighten your feline friend. Cutting pieces of raw uncooked spaghetti near your cat while she’s doing something she enjoys can help associate the sound with a positive experience. Last but not least be sure to gradually trim nails if your cat is already afraid or dislikes it. You might only trim one paw at a time or you might want to trim only a couple of nails before letting your cat scamper off and providing some treats. This can be a very gradual process. Be sure to give yourself time and be sure to stay dedicated to it. Most cats will never enjoy having their nails trimmed, but tolerating it without scratching or biting you is a huge step in the right direction! As mentioned above you should definitely clip your kitten’s nails. When your cat is young it is the best time to teach them new things about life. Not only are they far more impressionable at this age, but they are also far easier to handle given their size. This gives you multiple advantages over the long term. 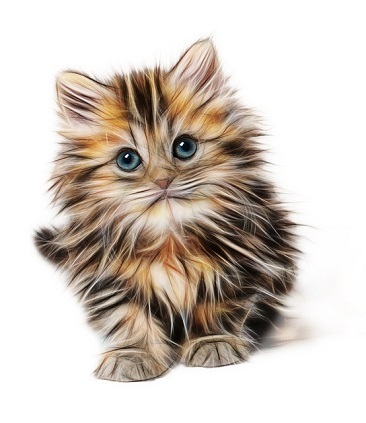 The sooner you start educating your kitten on the process the sooner he or she will get used to it and let it happen with minimal complaint! One consideration that you may need to take into account is that kitten nails are much much smaller than their adult counterparts. Because of this traditional clippers may not be the right choice for their nails. You may want to consider a good high quality set of human nail clippers for your kitten while she is young. Note you should never human clippers on an adult cat because they aren’t designed to cut through a nail of that thickness. This means that it could easily ‘shatter’ the nail instead of clip it which can be very painful for your cat. The quick is a part of the nail that has numerous nerve endings and pumps blood into the nail. You can see it if you look closely because it is clearly a different color from your cat’s nail. Note this is incredibly dangerous and painful to cut so you have to be extra careful. If you do happen to mistakenly cut the quick then your cat’s nail will bleed pretty much immediately. I highly recommend having a styptic powder or gel nearby. This will ensure that you can quickly stop the bleeding. I would also recommend you immediately cease clipping until you can find another time to start. Be sure to dress intelligently for clipping your cat’s nails. You don’t need anything terribly unique, but you’ll definitely want to wear long sleeves and multiple layers. Don’t just approach it wearing a t-shirt or a spaghetti strap shirt for you ladies. This will ensure if your cat’s claws claws do come out you’ve got a few layers between those sharp claws and your skin. I personally wear a hoodie and jeans and then I like to put a small blanket in my lap when we clip Lexi and Beast. If you’re working with a cat that is extremely unhappy you may want to wear pot mitts or even farm style protective gloves. If you’ve read anywhere that declawing your cat is a viable option then you’ve heard incorrectly. Declawing a cat is incredibly inhumane for numerous reasons, but it is also liable to cause your cat numerous health and behavioral problems over the long haul. Scratching Surfaces: Cats need to scratch something and it is best to provide surfaces designed for it. Otherwise they are likely to scratch up things you don’t want them to (like your couch). Providing numerous surfaces in areas they frequent ensures they can constantly shed the out layers of their nails. Groomers: A trip to the groomer is another way to get your cat’s nails trimmed. Admittedly, if they don’t like you clipping their nails they probably won’t be thrilled about the groomer either. But, if you need to take them for a haircut or a trim then the groomer can definitely trim their nails for you. Your Veterinarian: Most vets offices will provide a free clipping (and sometimes even a bit of a trim) if you ask them to do it at the end of a visit. This is a nice easy way to get a quick trim done by a team of professionals that basically handle cats all day every day. Clipping your cat’s nails should be a part of your normal care routine for your feline friend. There are a wide variety of options available when it comes to the clippers you put to use, but no matter what you use you should ensure they are always sharp. Sharp clippers make sure that when you clip you’ll have nice clean cuts that are unlikely to damage your cat’s nails so that you both have the best experience throughout the whole situation. If you’re unable to clip your cats nails be sure there are plenty of good scratching surfaces available and consider an alternative like taking your cat to a groomer or asking your veterinarian to perform a clipping during each visit (most do it for free!). You shouldn’t let your cat go without clipping for too long as it can start to make it tough for them to walk. 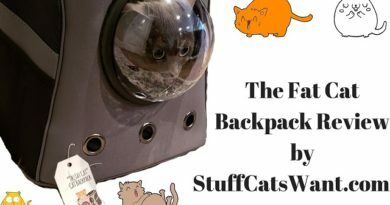 Good article, lots of info here, I need to get a pair for my cat and try some of your advise on getting her used to clipping her nails, she is destroying our furniture. Glad you found it helpful. You might also want to consider a scratching post. They make some pretty cool ones that bump right up against your furniture too so your cat is more prone to scratch that. This is one of them called the Sofa-Scratcher. I found your article to be very useful. However, I have always heard it is best to leave nail clipping to the professionals. I wouldn’t want to harm my animal of course. Do you think If I’m a little uncomfortable doing it, I should ask a vet ? Otherwise, great information. I will definitely share this with friends ! You can always go to the Vet or to a Groomer for nail clipping, but the cost does add up quickly. And since most cats don’t love going in a carrier that also brings an additional hassle. Personally I’ve had no problem clipping my own cats every other week. I’ve even clipped numerous foster cats. If you’re worried you can check out this page for a how to guide. If you’re still not comfortable with clipping your cat then I’d recommend a groomer in place of your vet. OmegaPets Cat Nail Clippers look really good. I wanted something which can do the job fast and it seems like it can do that. They are high quality clippers, you’re correct. I’d be careful about attempting to clip your cat’s nails quickly though. This can be dangerous and you could easily end up injuring your cat if you don’t take your time!